A book I’ve co-edited with Jackie Wykes and Sam Murray, Queering fat embodiment, is set to be published by Ashgate in May, 2014. My chapter in the book considers how fatness is queered in cyberspace. As our book explores, queering is a method of disrupting the norm; of challenging essentialist positions and defying constructions of the dominant culture. 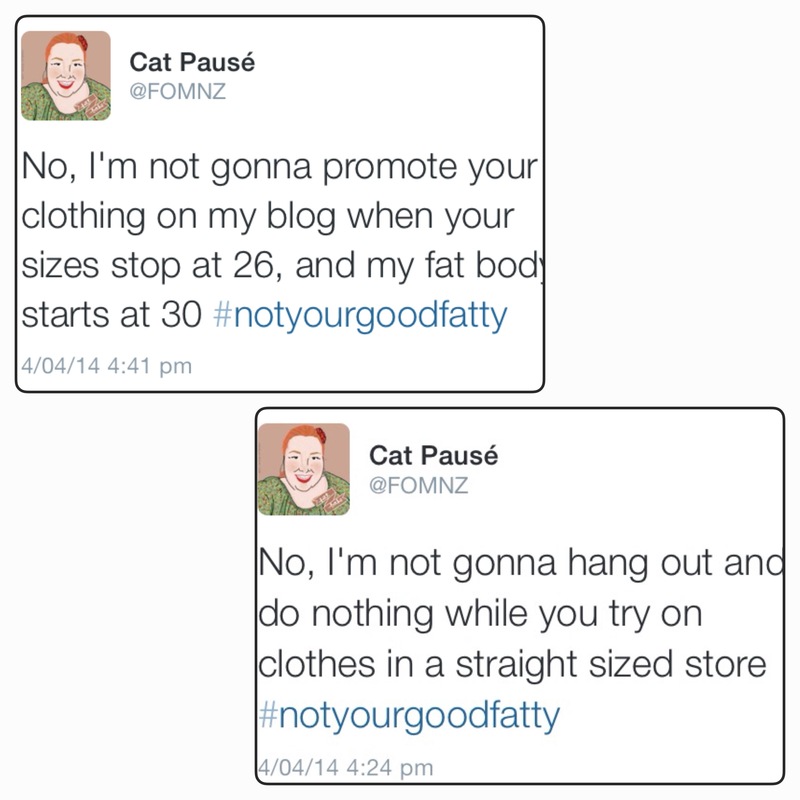 Within cyberspace, fat activists often engage in queering fatness by challenging the expected idea of fatness. They present representations of fat life that deviate from the norm and they encourage alternative constructions of fat identity. Whether through blogging, posting fashion photos, using hashtags, or various other social media tools, they are offering a different way of considering fatness. Playing the Good Fatty might entail talking about how you totally eat healthy all the time, or totally work out regularly, or totally have “great numbers” (blood pressure, cholesterol, etc. ), or totally make sure you wear clothes that aren’t too revealing. It’s basically saying: I’m not one of THOSE fatties. You know, the ones we’re always hearing about, with their eating whole pizzas and destroying the healthcare system and stuff. The transition from Good Fatty to Radical Fatty is when you decide it doesn’t matter why someone is fat. That fat people’s rights aren’t contingent on anything else but our humanity. 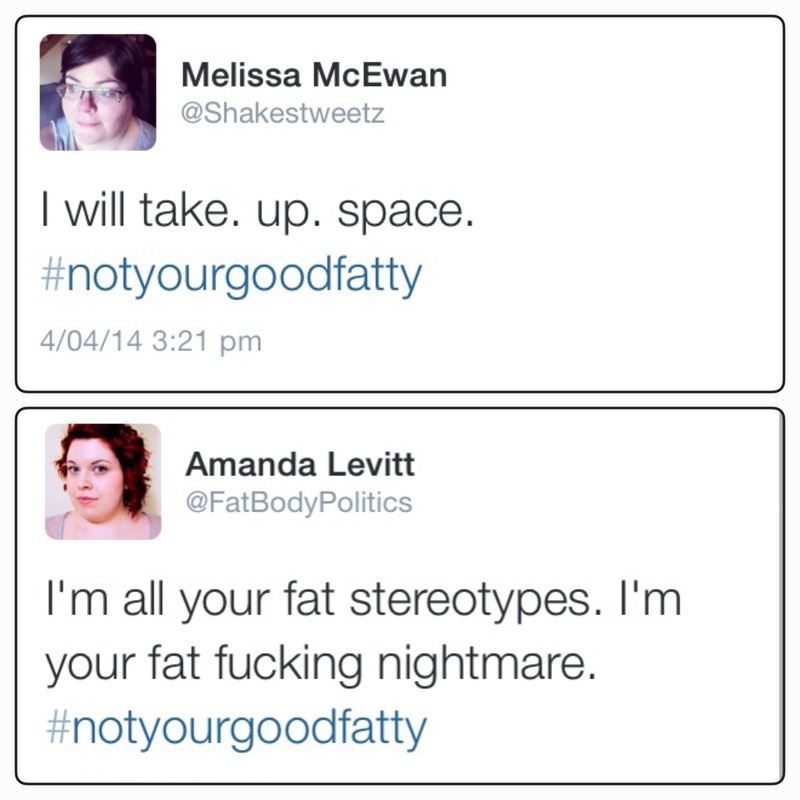 Reflecting on the use of the tag in social media, Amanda Levitt of Fat Body Politics, asserts that she is not interested in performing her fatness in socially acceptable ways. 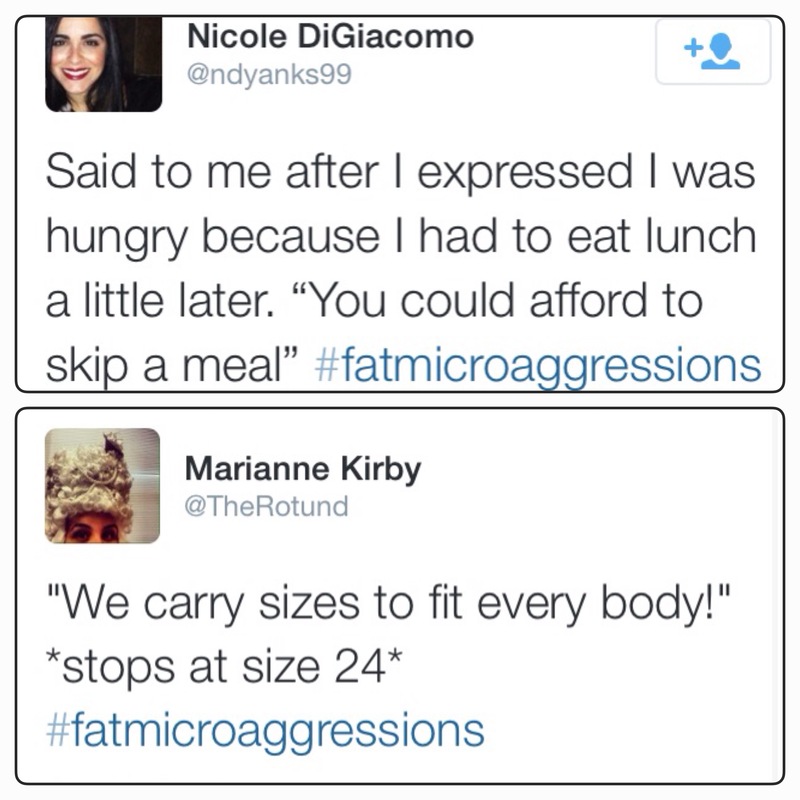 She, and the others embracing #notyourgoodfatty, are defiant resisters in the war against fat people. They refuse to be fat in appropriate ways. They are, in short, doing fatness wrong. 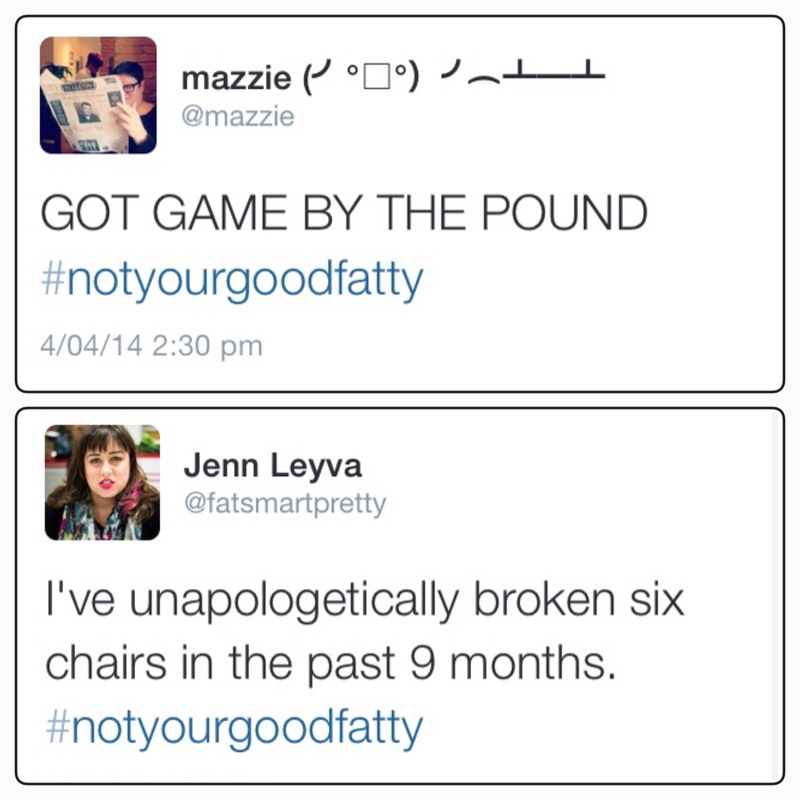 #notyourgoodfatty is not the first tag to rally fat people together online. 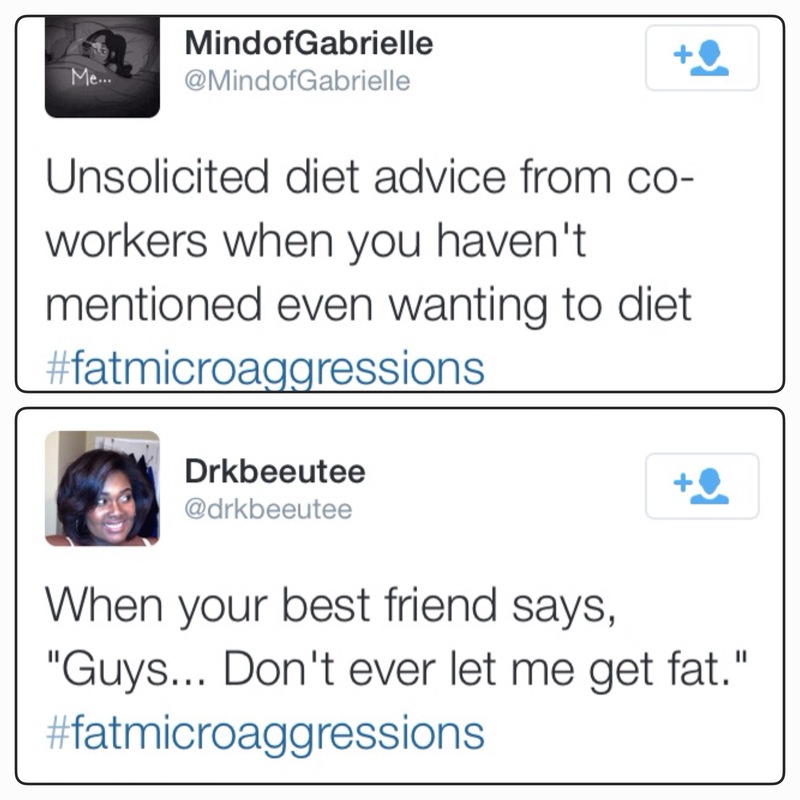 Recent memory recalls #clublardo, #obeselifestyle, #IAmNotADisease, and #fatmicroaggressions. 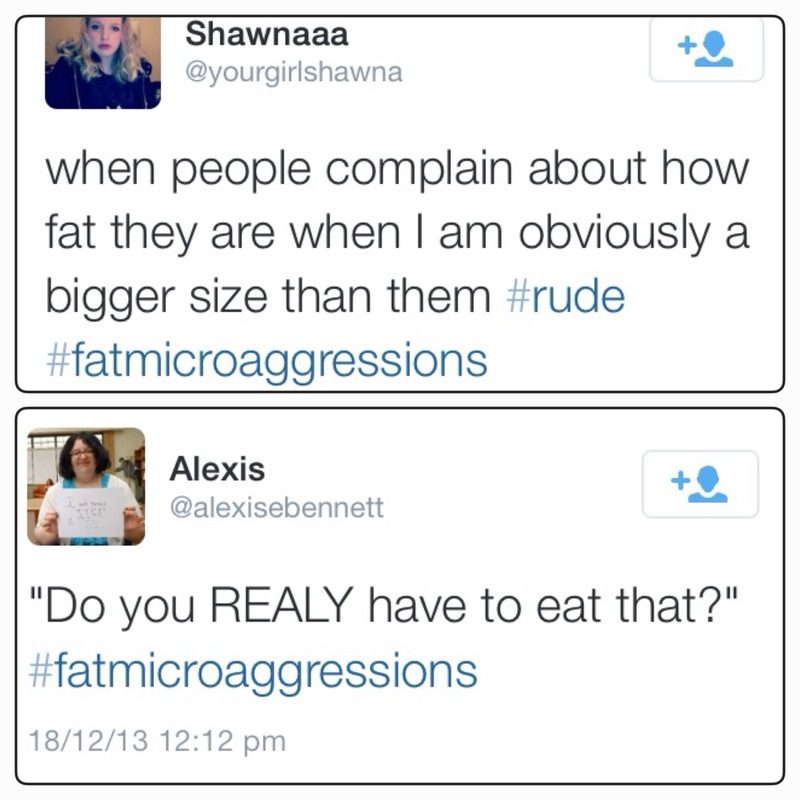 Melissa from Shakesville gifted us with #fatmicroaggressions last December. It also trended, and managed to attract the attention of mainstream media. Sharing the small acts of violence that are inflicted upon fat individuals everyday is powerful – making them visible is an important step in fighting back against the fat phobic culture we live in. Some may argue this is yet more slacktivism, as if low effort acts of activism that occur online are less powerful than other more traditional forms like marching or carrying a sign. In cyberspace, we are able to march the cyberhighway across the entire world. And the signs we carry are able to be adapted, crafted, and suited for a range of audiences on demand. In queering fatness online, we are able to reject that our bodies are problems that need solutions. We are able to make our voices heard, if only in 140 characters and only for a snapshot in time.